Every Sunday morning I start out the day wondering what I will do for my Sunday night post. I try to make these more reflective, a little more focused on my everyday life. I try to eat fairly low-carb, a result of having inherited some blood sugar issues and having a small addiction to Coca-Cola. So I watch what I eat and usually don’t eat cereal but occasionally I get a craving for fruit and cereal and buy a box. I am particularly fond of Cinnamon Toast Crunch, but there’s a trick to this, like many cereals. You see, you have to soak it in milk long enough to slough off enough cinnamon to form the cinnamilk at the end, but not so long as to lose the crunchiness of the cereal. As I was admiring the fact that I had pulled off that delicate balance this morning, it hit me that I had my post for tonight. Appreciating the small things. You see we can talk all we want about the big changes in life that will make us happier. Those things are legitimate and what you should strive for in the end. But what can you do to be happier along the way. Recently a study identified gratitude as the single most important factor in happiness. Whether or not that is true, it certainly is one of the key things that makes people happier. Long-term happiness is typically most closely associated with strong ties to family (biological or selected) and friends. For tonight I want to talk about gratitude. We need to be grateful for the things we have in our life that make us happy, the small as well as the big. Sure we are grateful for family, friends, good health, the money, food and shelter that has been provided for us. But if you want to be consistently happy you have to do two things. 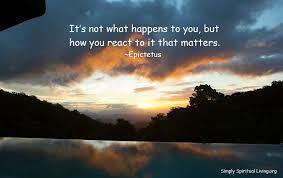 First, you have to remember that your attitude, how you choose to react to things, determines most of your happiness. 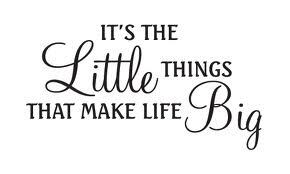 The second is to appreciate all of the little things around us that bring us happiness. A beautiful blue sky, a partridge running across the yard, a magnificent sunset or maybe the roses in your garden. I often see in November people post 30 days of being grateful to their Facebook pages, that’s great, but if you only have that level of gratitude in November, well then it’s sort of like a fad diet. You make yourself happier for a time but then lose those gains when you stop. What I’d rather see people do is a gratitude Monday once a week, that way at least gratitude would stay on your mind year-round. Maybe I’ll start doing a post on gratitude once a week. This entry was posted in personal happiness and tagged be happy, cereal, family, friends, gratitude, happiness, positivity, the small things. Bookmark the permalink.